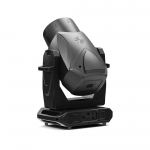 The VL10 BeamWash produces 28,000 lumens and weighs just 33kg (73lb). 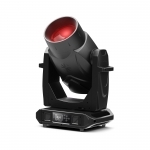 A suite of dynamic effects offers endless creative possibilities, from the dual overlaying prisms to the aperture wheel, rotating gobo wheel and stunning aerial effects from the VL*FX wheel. An internal frost can soften effects, while a heavy frost lens creates a strong, even wash. VL’s enhanced CYM system and fixed color wheel offer designers a full palette, from the subtlest hues to the deepest reds and blues.